Subscribe to a podcast feed just for Star Trek (franchise). Star Trek: Discovery S2E14 Review: "Such Sweet Sorrow, Part 2"
So it’s come to this. It’s the big finale of season 2 of “Star Trek: Discovery”, as the producers’ grand plan is revealed and continuity is changed forever. (Or not changed, as the case may be.) We break down the action-packed episode and ponder just what show this episode expects us to want to see next. 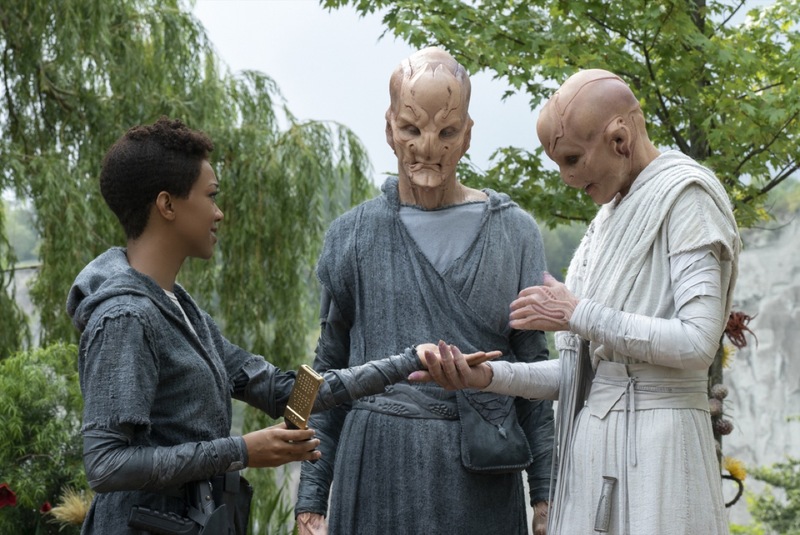 Star Trek: Discovery S2E13 Review: "Such Sweet Sorrow"
Star Trek: Discovery S2E12 Review: "Through The Valley of Shadows"
Star Trek: Discovery S2E11 Review: "Perpetual Infinity"
Star Trek: Discovery S2E10 Review: "The Red Angel"
This week the Red Angel’s identity is revealed. Jason and Scott feel mixed about this episode, which featured some good character scenes and a very exciting climax, but also some questionable plot points. And while it turns out that “time crystals” are a real and canonical thing, Jason still doesn’t like them. Star Trek: Discovery S2E9 Review: "Project Daedalus"
Last week’s episode was a hard one to follow, but this week we’ve got a killer half-robutt, Spock ruining Burnham’s 3-D chess set, and a bunch of suspicious space mines. Also, Scott chides Jason for being speciesist, and Jason has more wacky plot theories. Star Trek: Discovery S2E8 Review: "If Memory Serves"
Previously, on Star Trek… “Discovery” goes where “Star Trek” hasn’t been in more than 50 years, as Burnham returns Spock to Talos IV to cure his insanity and get a sense of what is going on with the Red Angel. We discuss singing plants, creepy telepaths, Vina’s reunion with Pike, the super-awkward second life of Dr. Culber, and the dangers of mind melding with time travelers! Star Trek: Discovery S2E7 Review: "Light and Shadows"
Vulcan Hello returns, but one of our favorite recurring segments ends when we finally find who we’ve been looking for! Plus, get ready for some frickin’ time rifts, Sarek’s sweet shuttlecraft pad, Michelle Yeoh’s kicks, and a shocking final revelation. Aleen Simms joins us to break down this week’s episode while we sit in the corner and mumble passages from “Alice in Wonderland”. Star Trek: Discovery S2E6 review: "The Sound of Thunder"
The hovering murder cylinder is on the other foot now, Ba’ul! In this episode we explore Saru’s new perspective on the Prime Directive, Pike’s measured responses to creepy voice-only hails, and the transformation of the Red Murderball into something that’s posthumously useful! Also, we get a closer look at the Red Angel (Jason’s feeling confident), and we have to debate whether the trailer for next week’s episode fits our Spotting Spock criteria. 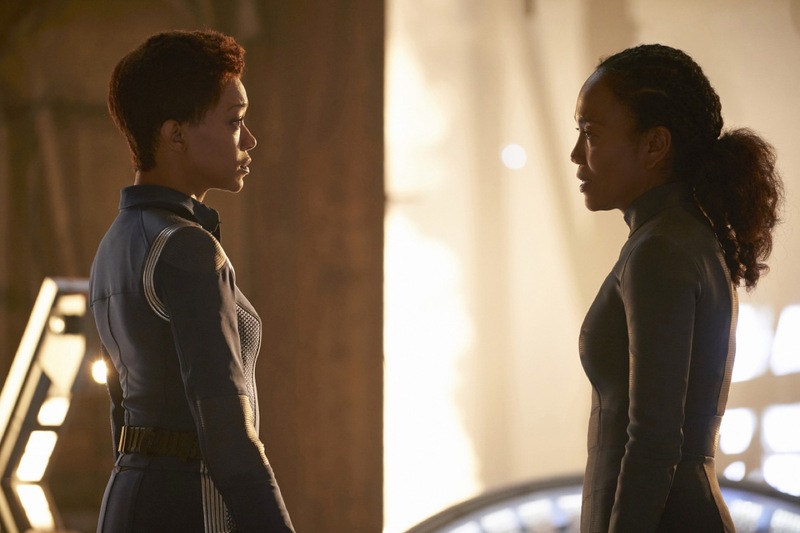 Star Trek: Discovery S2E5 Review: "Saints of Imperfection"
This week Section 31 collides with the Discovery, and the Discovery collides with the mycelial network. A lost soul is found! Jason does a victory lap at the mention of tachyons! And still no Spock. Star Trek: Discovery S2E4 Review: "An Obol for Charon"
Star Trek Discovery S2E3: "Point of Light"
A very different kind of episode this week, as “Star Trek: Discovery” beams in three different plots. Do we really need more Klingons? What’s happening in the search for Spock? And is Tilly’s friend a friendly ghost or a dangerous alien spore blob? It’s also time to bring back the conspiracy corner segment, because Jason has some theories about the Red Angel. 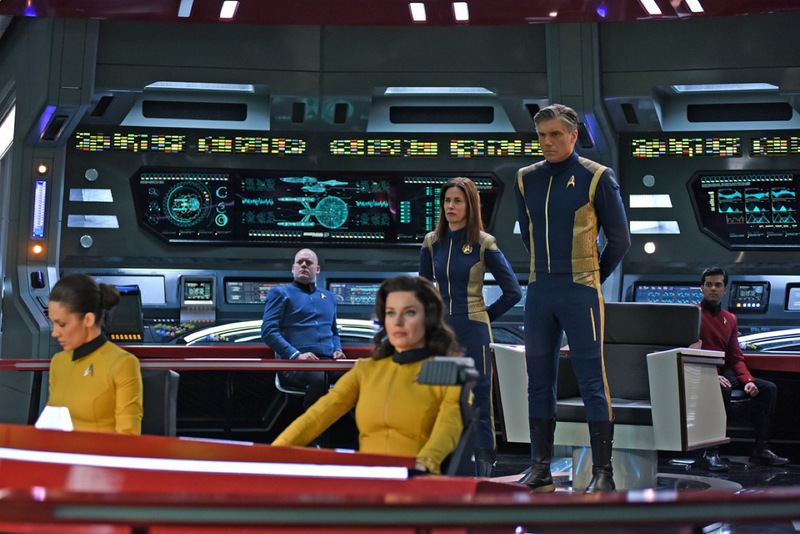 Star Trek: Discovery S2E2 Review: "New Eden"
Star Trek: Discovery S2E1 Review: "Brother"
“Star Trek: Discovery” is back and so are Scott and Jason. 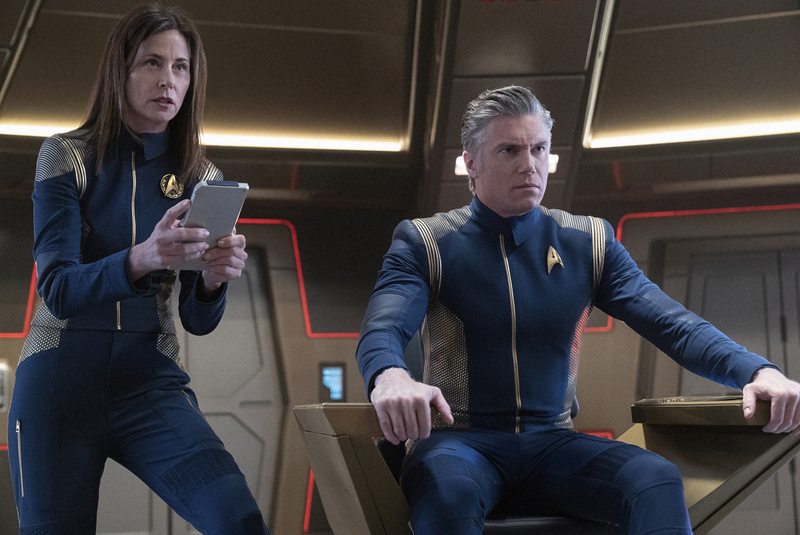 We discuss Captain Pike and his uniform, Tilly’s chatter, Burnham’s family issues, the decor of Spock’s quarters, and much more! 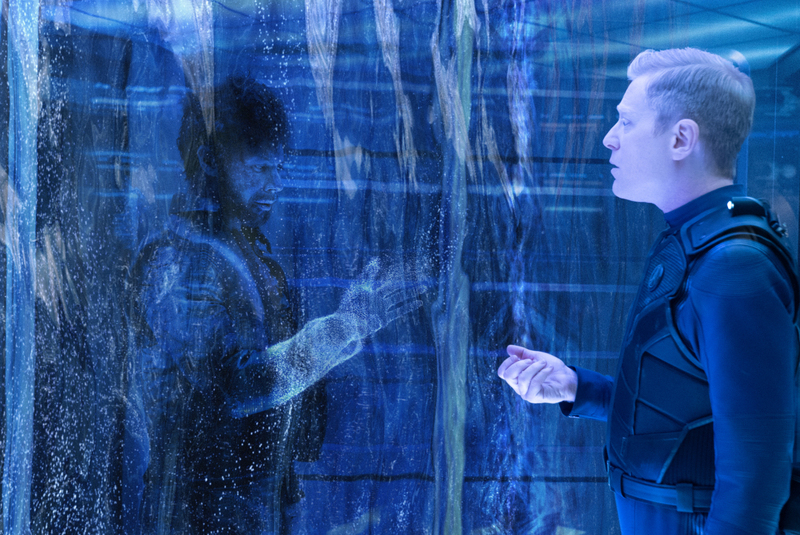 Star Trek: Discovery Short Treks #4 Review: "The Escape Artist"
There are only two weeks until season 2 of “Star Trek: Discovery” commences, but in the meantime we’ve got our favorite of the four “Short Trek” films to discuss. Rainn Wilson returns as Harry Mudd(s)! We learn why rich people wear caps, that the path to a Tellarite’s heart is through its tusks, and that you should always remember where you parked. Star Trek: Discovery Short Treks #3 Review: "The Brightest Star"
Scott and Jason return to discuss the third “Short Trek” preceding the return of “Star Trek: Discovery,” in which we learn Saru’s origin and why Kelpiens are not commonly seen in Starfleet. Along the way we discuss hovering murder cylinders, food courts and gazebos, and the recently released final trailer for season two. In this holiday season, what could be more emblematic of the spirit of Peace on Earth (of the past) and Goodwill toward men (who aren’t whalers or aquarium directors) than 1986’s “Star Trek IV: The Voyage Home”? We celebrate “the one with the whales”, an enjoyable romp through 1980s San Francisco that also features a soundtrack that sounds like a Christmas carol, nuclear wessels with terrible security practices, and Admiral Kirk’s to-go pizza box. Star Trek: Discovery Short Treks #2 Review: "Calypso"
Is it Taco Tuesday yet? Scott and Jason return to discuss CBS’s plan for endless “Star Trek” and the latest “Short Trek”, a delightful retelling of a part of “The Odyssey”—or is it “Wall-E”?—with an injured spaceman and a lonely artificial intelligence who really loves old movies. Star Trek: Discovery Short Treks #1 Review: "Runaway"
The Vulcan Hello podcast returns with a dissection of the first of four “short films”—didn’t we used to call these Webisodes?—running up to second season of “Star Trek: Discovery.” In “Runaway,” Tilly—we love Tilly!—discovers a mysterious and dangerous stowaway alien monster that might actually just be a grumpy teenager. Also we share our reactions to the new season 2 “Discovery” trailer, featuring hunky Spock! Deal with it, people. Jason Snell joins Scott to discuss the wave of “Star Trek” related news to hit this month, including news of new actors playing Pike and Spock in “Star Trek: Discovery”, the return of Jean-Luc Picard in an entirely new TV project, and more. Hop into your spore chamber and prepare for Black Alert — “Star Trek” has returned to television, and we’ve got our overview of the first season of “Star Trek: Discovery.” Did it meet our expectations? Was it more comfort food or modern TV drama? “Star Trek” shows live or die by their characters, so did Burnham, Saru, Tilly, Stamets, and company find their way into our hearts? Why were there so many plot twists? And what are we hoping for in season two? We break the whole thing down. Star Trek: Discovery S1E15 Review: "Will You Take My Hand"
So we reach the end! We say a Vulcan Goodbye to this first season of “Star Trek: Discovery” with a look at a shocking final scene, a rushed ending, a surprising conversion by Admiral Cornwell, some abrupt goodbyes, and Tilly’s “just say no” moment. Star Trek: Discovery S1E14 Review: "The War Without, The War Within"
The penultimate episode has arrived, and with it, we discover the fall-out — tactically and emotionally — of the Discovery’s return to the Klingon-Federation War. Ash Tyler grapples with his security wristband and identity crisis! Tilly shows her human decency! Sarek and the Emperor are the universe’s weirdest mom and dad! And Admiral Cornwell returns to assert her authority with a few choices that we have serious questions about. Star Trek: Discovery S1E13 Review: "What's Past is Prologue"
This week wave goodbye to the mirror universe and… certain… characters… as we ride a mycelial shockwave back to somewhere near our point of origin. Joining Scott and Jason on the ride this time are two representatives of Scotland. 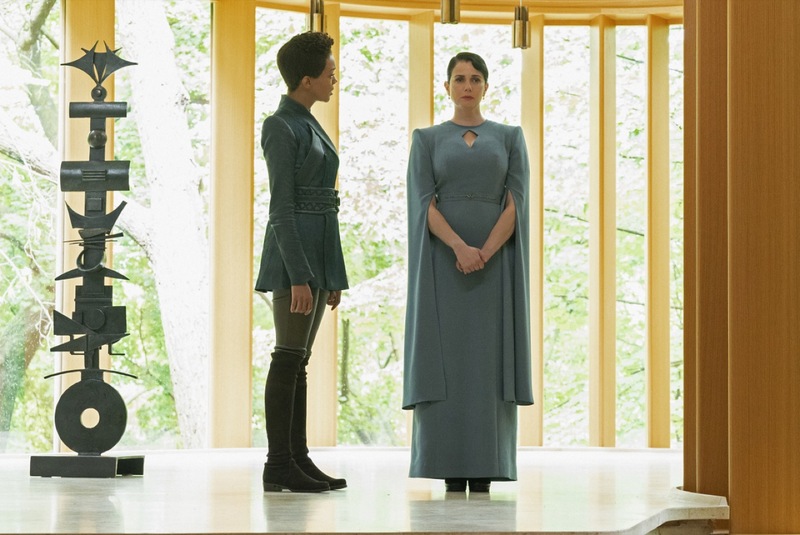 We discuss why Burnham is great, what the motivations of Georgiou are, and parallels between “Game of Thrones” and “Discovery.” Two more episodes to go! Star Trek: Discovery S1E12 Review: "Vaulting Ambition"
The conspiracy closet has blown wide open! Our wildest speculations come to pass in this episode, which sees a mycelial mind-meld, the most dangerous Golden Snitch ever, some Klingon laser-finger surgery, disturbing Terran Empire cuisine, fast thinking by Burnham, and the revelation of just what the heck is going on inside the mind of Captain Lorca. Star Trek: Discovery S1E11 Review: "The Wolf Inside"
The U.S.S. Discovery is still in the Mirror Universe and we meet more counterparts to people we know. Burnham agonizes over major ethical questions while Lorca is agonized. A lot. Plus what happens when a not so secret Klingon meets himself? Nothing good! Star Trek: Discovery S1E10 Review: "Despite Yourself"
The crew of the U.S.S. Discovery has returned to our screens, but they find themselves in a different universe. In this episode we revisit the Vulcan Hello, open the porous door that once separated us from the Conspiracy Closet, express excitement about numerous references to previous Star Trek series, and bid farewell (or do we? it’s “Star Trek”) to a recurring character in a moment with a lot of dramatic impact but some unfortunate resonances to some modern TV tropes. 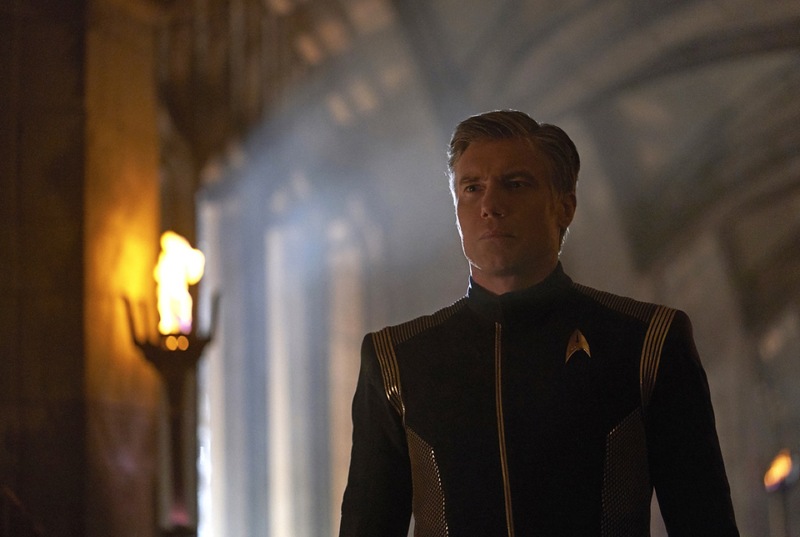 Star Trek: Discovery S1E9 Review: "Into the Forest I Go"
Grab your phaser — it’s time for the fall finale of “Star Trek: Discovery!” Jason and Scott break down the Klingon action, the drama back on the Discovery, and venture behind the Gorn skeleton once again as we enter Conspiracy Corner. Into the forest we go! Star Trek: Discovery S1E8 Review: "Si Vis Pacem, Para Bellum"
Brush up on your Latin, put on your running shoes, and scream for the guard outside the door! It’s time for our report on the latest episode of “Star Trek: Discovery”, in which a landing party comes into an unexpected contact with spore aliens, the Klingon plot gets some real forward momentum, and Stamets reveals that all is not well at the heart of the Spore Drive. 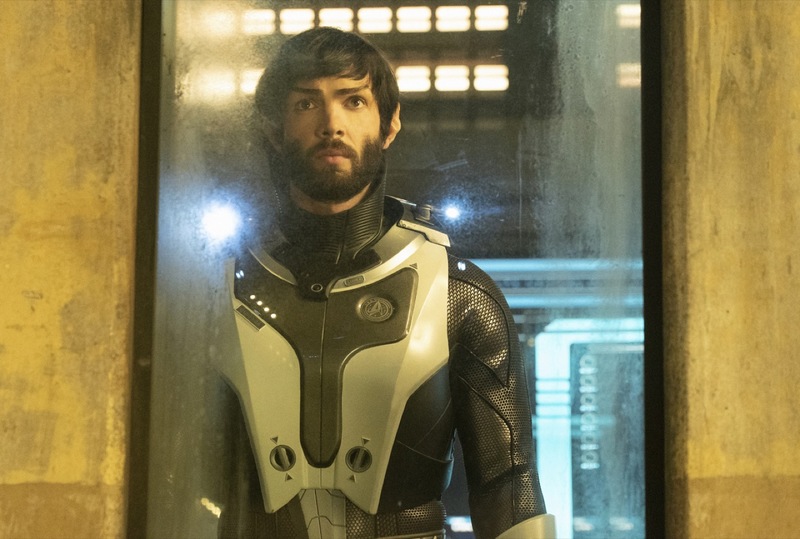 Star Trek: Discovery S1E7 Review: "Magic to Make the Sanest Man Go Mad"
Star Trek: Discovery S1E6 Review: "Lethe"
Star Trek: Discovery S1E5 Review: "Choose Your Pain"
Harry Mudd appears and hard choices must be made! Breaking down this week’s new episode of “Star Trek: Discovery” is only logical. Star Trek: Discovery S1E4 Review: "The Butcher's Knife Cares Not For the Lamb's Cry"
Dan Moren joins Scott to discuss an episode featuring a surprise death at the hand of a not-so-monstrous monster, a whole lot more Klingon dialogue, a Special Guest Hologram, and the series’ first successful spore-enabled jump. Star Trek: Discovery S1E3 Review: "Context is for Kings"
This week Scott is joined by two Scots to discuss Michael Burnham’s arrival on the USS Discovery. Vulcan martial arts! Gorn skeletons! The horrors of creepy alien monsters and perky roommates! This episode has it all… even a zipper and a Tribble. On the 30th anniversary of the debut of “Star Trek: The Next Generation”, we watched the show’s first and last episodes and used them to appreciate what worked right out of the gate (casting) and what took a bit longer to jell together into one of the great science fiction TV series of all time. Star Trek: Discovery S1E2 Review: "Battle at the Binary Stars"
We’re back to discuss the second episode of “Star Trek: Discovery!” Burnham has to deal with her mutinous actions. We get too many Klingons, including a flashback. Ensign Head Wound meets a confused end. Sarek sends a long-distance mental pep talk. And Captain Georgiou meets the fate of all Special Guest Stars. Onward to the dark Starfleet chamber of justice! Star Trek: Discovery S1E1 Review: "The Vulcan Hello"
Hello, humans! A new Star Trek series has appeared and in this episode we review the one hour premiere of “Star Trek: Discovery.” We discuss the comportment of bridge officers, the “Star Trek: Shenzhou” prequel series we never saw, the appearance of the Star Trek Sound Effects pack, why Vulcans are kind of jerks, and the validity of using small caps in your caption font. And much, much more! We draft our favorite episodes across every “Star Trek” series, to induct 35 episodes into the Trek hall of fame. Human Play Dom-Jot? From hell’s heart, five players take a stab at answering “Star Trek” trivia questions from game master and Star Trek expert Scott McNulty. He tasks us, and we shall have him! Or not. On the occasion of Star Trek’s 50th anniversary, we’re talking about one of our very favorite Star Trek movies: 1996’s “Star Trek: First Contact.” (What? We already did a two-parter about TOS!) Featuring zombie-like Borg, a time travel plot, and some great guest stars, it’s the definitive Next Generation movie. We review “Star Trek Beyond,” the latest installment in the J.J. Abrams-produced “Star Trek” movie universe. What are the best cast pairings? Why was Idris Elba’s character in need of simplification? When does the spin-off about Jaylah in Starfleet Academy start filming? And what is this franchise’s best destiny? The Doctor from "Star Trek: Voyager"
Please state the nature of the medical emergency. Can a hologram be a robot? Turns Out: What Am I Doohan Hangin' Round? The worst of the Next Generation “Star Trek” movies, “Insurrection” and “Nemesis”, are in our sights. Why don’t they work? What were the producers thinking? How tenuous was Star Trek’s life as a franchise that two bad movies in a row could kill it? You’ve got to laugh to keep from crying. We’re joined by special guest Todd Vaziri to discuss Star Trek II: The Wrath of Khan (1982). Todd is a compositing lead and supervisor at ILM and has worked on the Star Wars and Star Trek film franchises. Defocused #38: How Do You Feel? This week came the announcement we’ve been waiting for: A new “Star Trek” series is in the works. But with the announcement came a bunch of interesting details (it’s going to be exclusive to CBS’ streaming service, it’s going to be produced by one of the co-writers of the J.J. Abrams “Star Trek” movies) and a lack of specifics (they’re still interviewing writers and didn’t announce even the most basic of premises). Our panel of Star Trek fans analyzes the interesting decisions CBS has made so far, tries to imagine how a “Star Trek” series from 2017 might differ from its predecessors, and discusses the importance of creating a series that can keep the franchise alive by appealing to a new generation of fans. Lay in a course and engage the warp drive! Our “Star Trek” Debate Club returns with spirited discussion of the best and worst captains in the galaxy, along with the best and worst aliens. Plus we get controversial with our choices for the most overrated and underrated things in “Star Trek,” and engage in a bit of lightning philosophy. Live long and prosper! It’s time again for Counterclockwise, the panel show where four people discuss four geeky aspects of a single topic, and it’ll all get done in less than 42 minutes. Our topics include: “Star Trek” ships, jumping off points for untold stories, future “Trek” TV series, and favorite characters. Plus we all reveal our Starfleet departments and shirt colors! We celebrate Leonard Nimoy, pondering what made us love Mr. Spock, discussing some of Spock’s finest moments, and even bringing up some lesser known corners of the Nimoy canon. Make it so, Number One! Star Trek: The Next Generation is on our agenda. We talk favorite episodes, least-favorite episodes, killer snowflakes, why Jean-Luc Picard is catnip to the ladies, why everyone loves Geordi, and why in the future no one needs Wet Wipes.